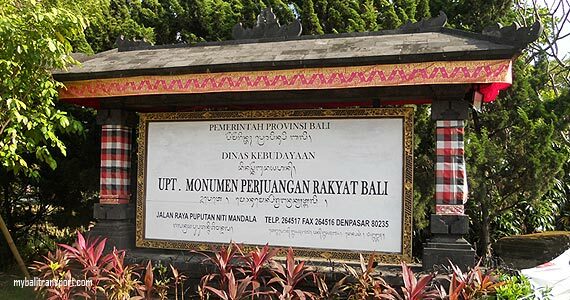 This monument was built in 1987 from Prof. DR. Ida Bagus Mantra as Governor of Bali and inaugurated on June 14, 2003 by Mrs. Megawati Sukarnoputri as President of the Republic of Indonesia. There is a collection of 33 dioramas in this building, which depicts the history struggle of Bali Island from prehistoric times up to independence eras. 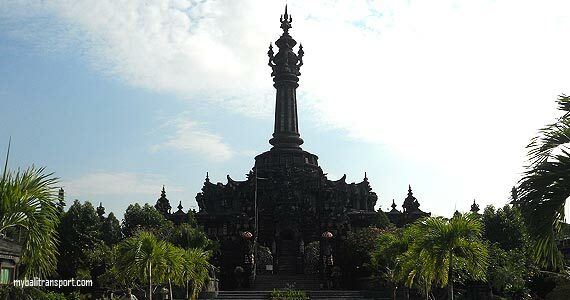 Bajra Sandhi Monument development based on the Hindu philosophy Lingga Yoni and philosophy of Mount Mandara Giri in the ocean of milk Ksirarnawa Adiparwa. The main building height as Lingga and base of the building is Yoni. 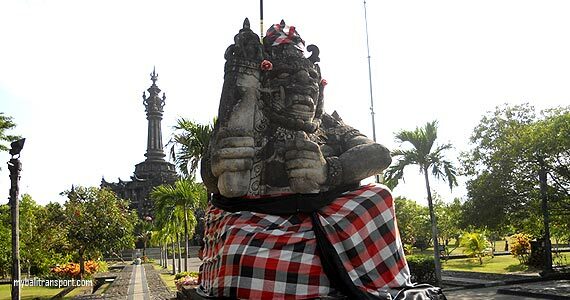 Lingga Yoni is a symbol of the man (purusa) with women (pradana), which is a meanings the power of positive and negative forces. According to ancient beliefs is between heaven with earth is seen as a symbol of fertility. 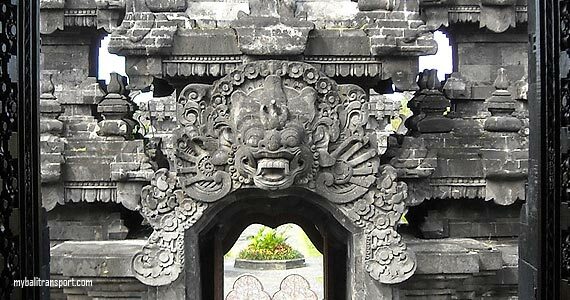 Lingga according to its shape is divided into four parts. The top called Siwaghaga, a symbol of the god Shiva stands. The middle of the octagonal called Linggih Wisnubhaga a symbol of the god Vishnu. The lower part of the rectangular-shaped of Lingga called Linggih Brahmabhaga is a symbol of the god Brahma. At the bottom of the base where the Lingga standing upright, generally rectangular shape which has a mouth as holy water channel called the yoni. Thus linggih god Shiva is in its manifestation as a source of fertility. 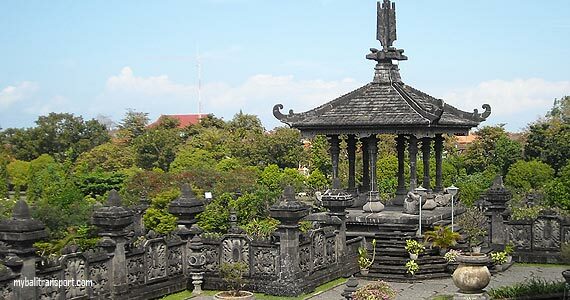 In a philosophical concept of Mount Mandara Giri in the ocean of milk, from the shape of the building can be described monuments include the main building that looks as bajra or bell is a symbol of Mount Mandara Giri. 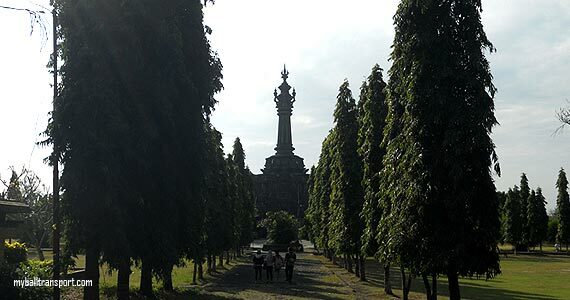 Ponds surrounding the main building as a manifestation of the ocean of milk or Ksirarnawa and form as contained jar in the corner of monument is a symbol of akumba as a Tirtha Amertha (Holy water). 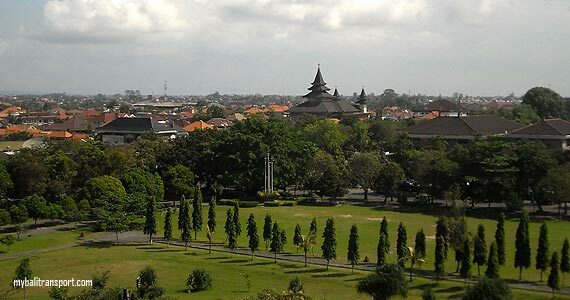 While Bedawangnala or akupa is the base of the Mandara Giri and dragon Basuki wrapped around Bedawangnala are both visible in Kuri Agung. 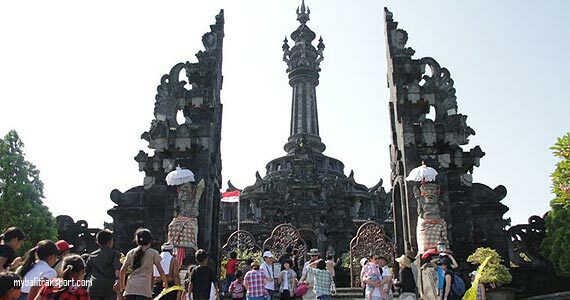 Bali Struggle Monument is located in the center of the Denpasar capital, in the middle of the field Niti Mandala Renon Denpasar. 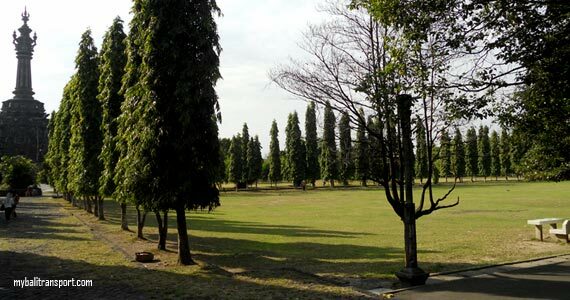 Is about 13 km from Ngurah Rai Airport, approximately 30 minutes by vehicle.